FBI handler Meg Jennings and her black Lab Hawk are part of the FBI’s elite Human Scent Evidence Team, part of the Forensic Canine Unit. Their job―find the missing, lost, escaped, or dead. The team as a whole can be deployed at a moment’s notice around the nation to search for missing children, escaped convicts, or to find the victims of natural disasters. With a little under-the-table help from crack Washington Post investigative reporter Clay McCord, they tackle a spree bomber, track down a twisted serial killer with a taste for word games and asphyxiating his victims, and crack a human trafficking ring that is uncovered when a vicious hurricane hits the east coast. Release Date - November 27, 2018 from Kensington Books. Available at: Amazon.com, Amazon.ca, Amazon.co.uk, Barnes and Noble, Indigo, and IndieBound. 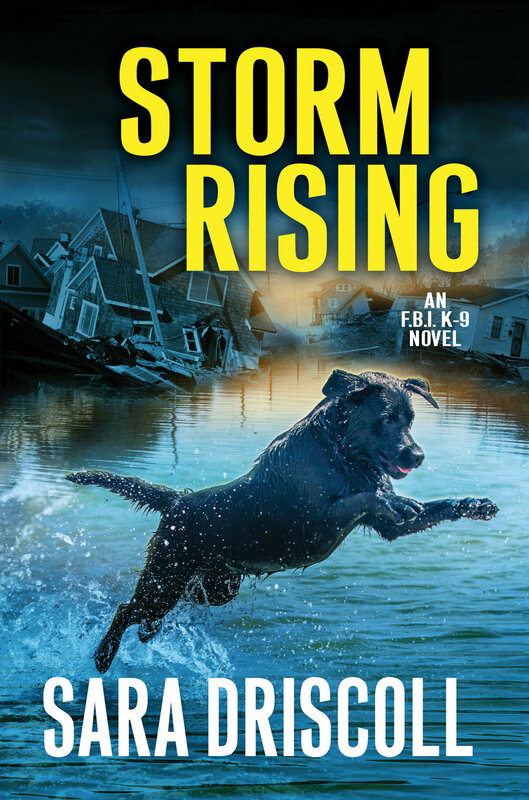 The Reading Room: "This book covers so much, but it is at its core a story of rescue... Storm Rising is not only a great piece of storytelling; it is an important read for awareness." Open Book Society: "There are not enough adjectives to describe how much I like this novel! It is 3rd in the FBI K-9 series, and the best to date... This is a breathtaking, fast-paced novel. The plot is tight and finely-executed with twists that frequently change the course of the investigation. Five Stars!" Reviewing the Evidence: "This episode is my favorite so far. STORM RISING shares with its two predecessors the fast pacing, solid plotting, and strong writing skills Driscoll brings to her work. The central characters are developing well and not too quickly. And the setting appears to be well-known and definitely well-drawn. Great job!" Off-The-Shelf Book Reviews: "I loved this book! Storm Rising is well written and well plotted with an amazing sense of place." Crime Book Junkie: In a nutshell, would I recommend this book? Oh that would be an absolute HELL YEAH from me. I simply adore this series! BOOM! – Thrilling, fascinating and absolutely unputdownable – I raced through the pages of this superb read! Release Date - November 26, 2019 from Kensington Books. Available for pre-order at: Amazon.com, Amazon.ca, Amazon.co.uk, Barnes and Noble, Books-A-Million, Hudson Booksellers, and Indigo.